There were footsteps on our rooftop this week. Had Santa had forgotten to give me a few Christmas gifts and was making a return visit to the prairie in our Arctic blast? I quickly rose from my desk chair to see what was the matter. 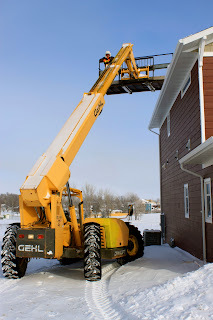 not Santa but instead Caleb, working on our building in the yard, in the below-zero single digits temperature but he was moving along with his dad driving the tele-handler. He rose to the rooftop. And he wasn’t going down the chimney and falling into our roaring fire that Nathan has been keeping going for me so I don’t freeze my toes off in this Arctic blast. Instead, a sewer vent had some ice in it. And that is NOT something you want to have happen. Caleb was better than Santa on this day by preventing our house from filling with sewer gas. 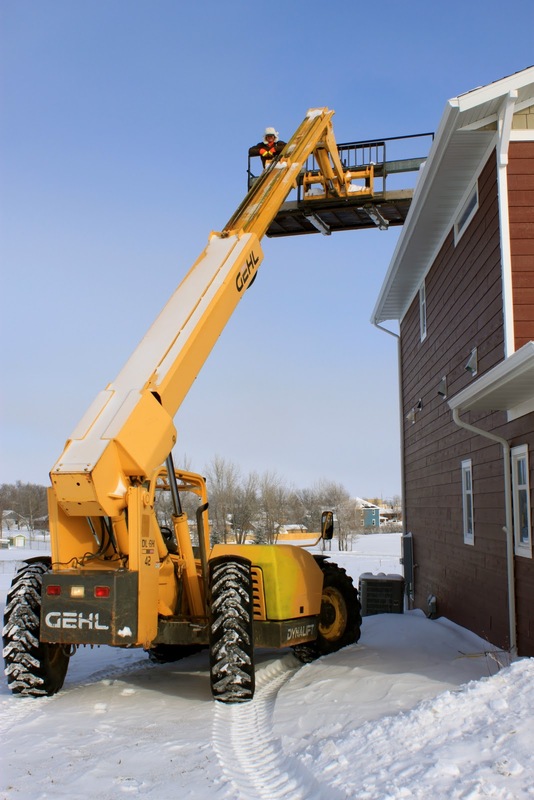 It’s not every day you just happen to have a tele-handler in your yard that can quickly get on the rooftop. We’ll leave it out for Santa come next December. For now, Caleb and his dad Mark are back working to finish the last details on our new building you can see in the background on the above picture. Miss E suggested last night that we move into the building and just sell our red house. She thinks it’s fantastic. I reassured her I was staying in the red house but surely we can find a few cats (with Daddy’s blessing of course) to live in the building. If you haven’t visited GriggsDakota today, hop on over to see beautiful (and old) photos on why trees grow in straight lines on the prairie. We have an EXCITING adventure involving a road trip, helmets and mountains planned to share with you next week. That’s not what I’d expect to see out my window either – but good thing it worked! Good thing that sewer vent got unclogged. 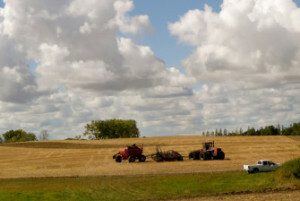 Always nice to have some heavy equipment on the farm! 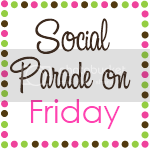 I’m stopping by from Friendly Friday; Hoping you’ll stop by and follow me back! Be sure to check out our giveaway (now through Friday).